One that is 'completely apart from Canal & River Trust and its so obvious incapability' as Victor puts it. 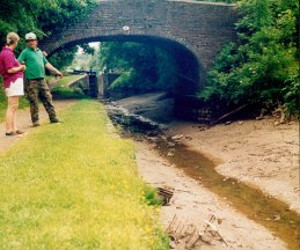 But it had already been done in the past, its name—British Waterways. I well remember we both agreeing that it was the first time we had met a stoppage and both having cruised for quite a few years, with such things as stoppages virtually unknown. What a difference now! Many of you must remember last year with 12 stoppages in one week. If that isn't a good enough reason for getting someone else to take over maintenance, I don't know what is.